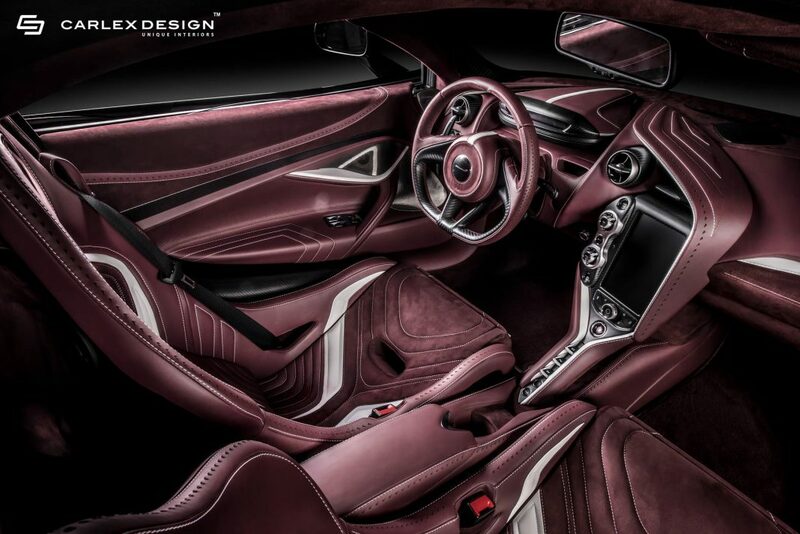 The McLaren 720S isn’t classic territory for unique aftermarket interiors. 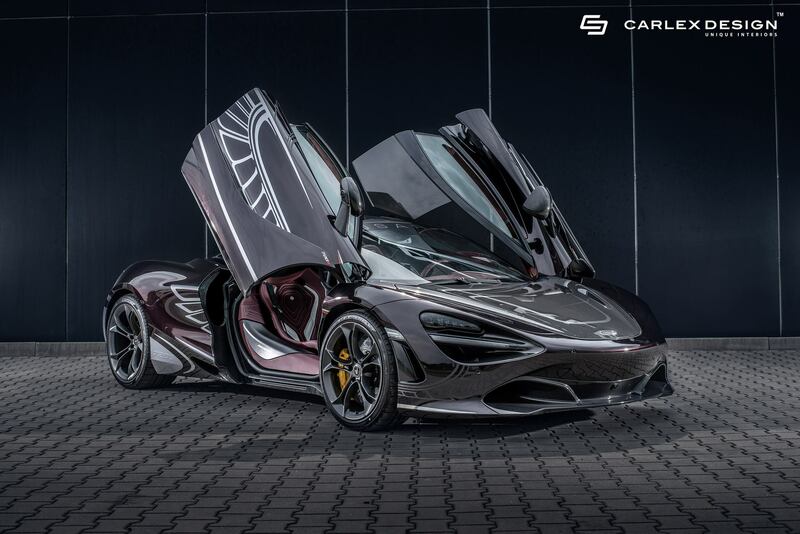 It arrives from the factory with plenty of exposed carbon fibre and the option to completely customise the design through the company’s own atelier, MSO. 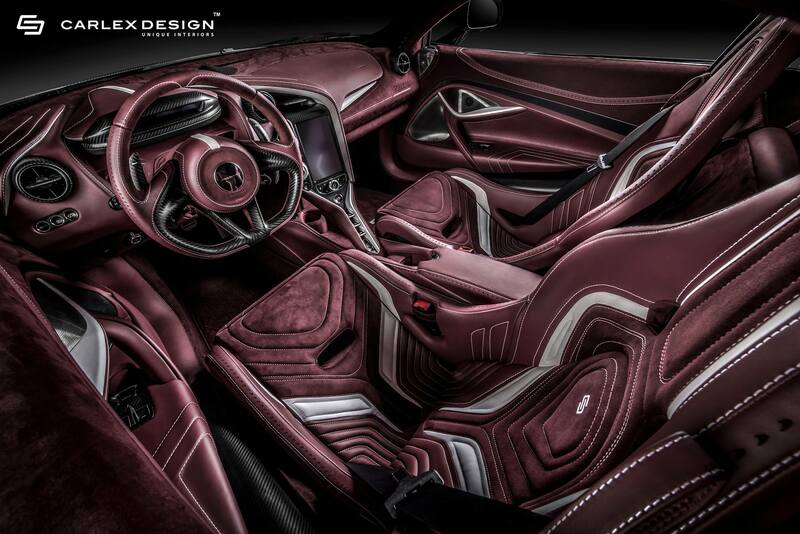 That hasn’t deterred one customer though. 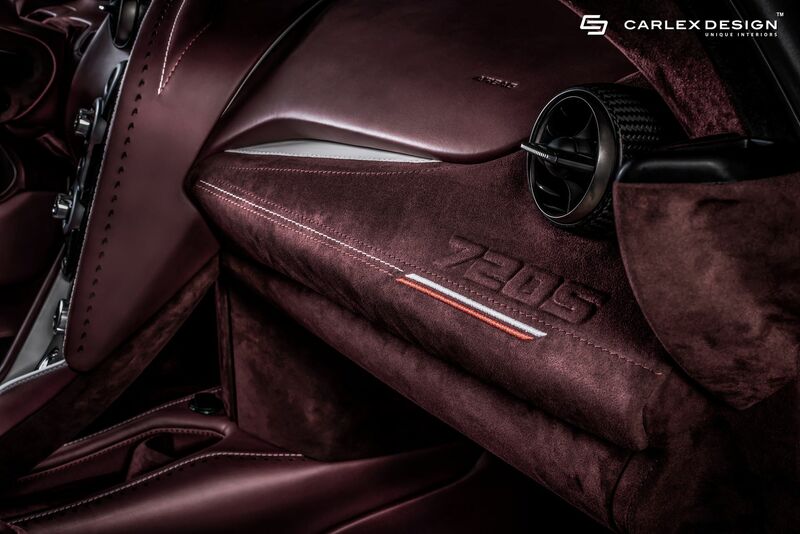 Polish interior specialists Carlex Design have given the 720S a thorough re-design, making it the most unique 720S on the market! 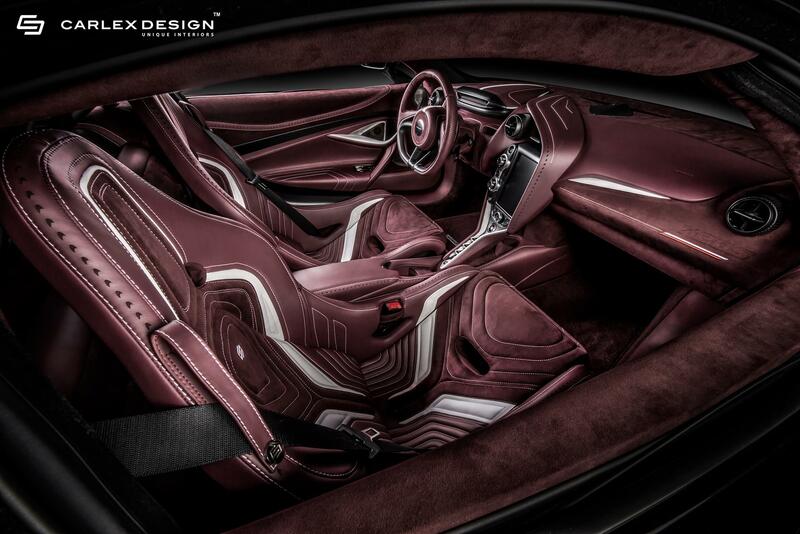 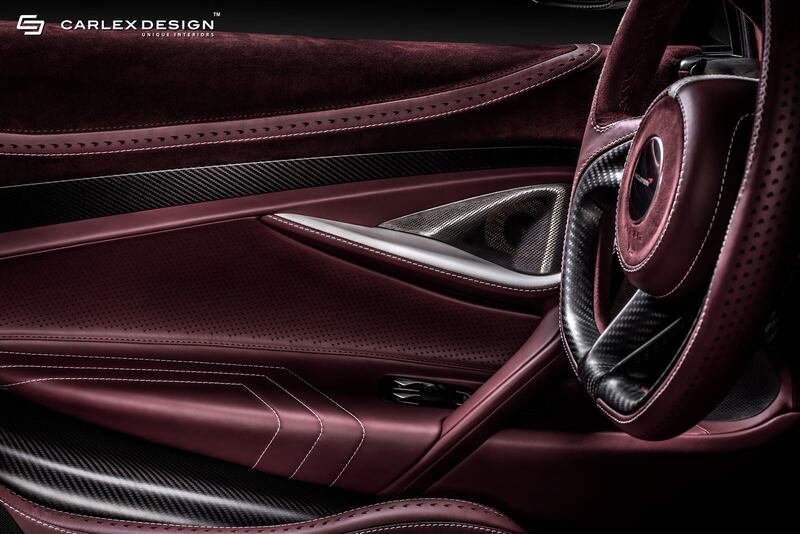 McLaren’s 720S gets a dark red interior with incredibly complex stitching. 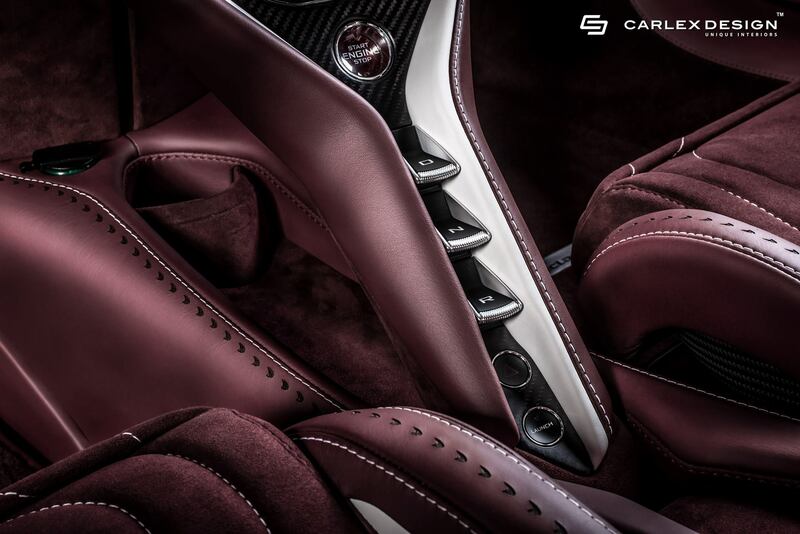 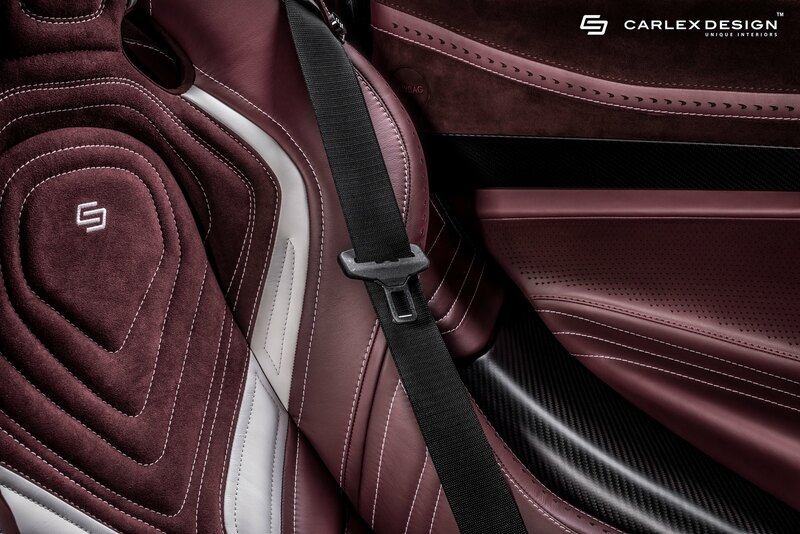 The red leather and alcantara is contrasted with an almost metallic white leather and contrasting white stitching. 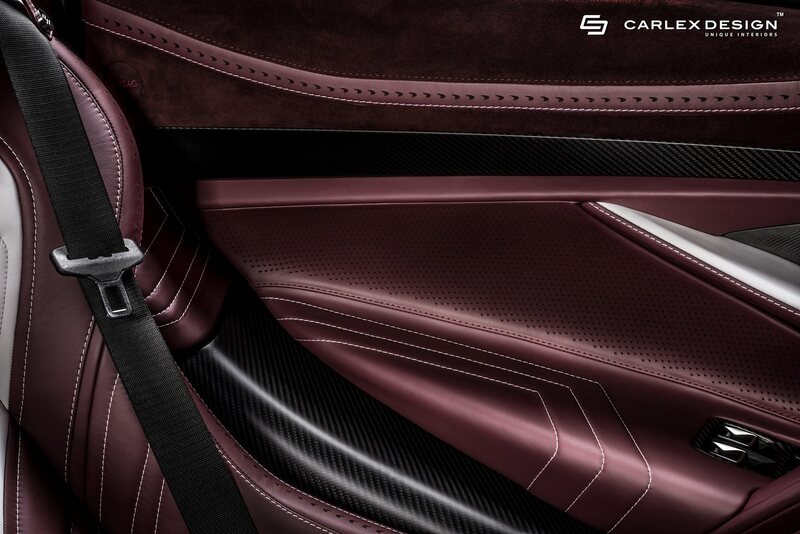 There remains plenty of exposed carbon fibre with almost every surface benefiting from Carlex Design’s unique trademark look. 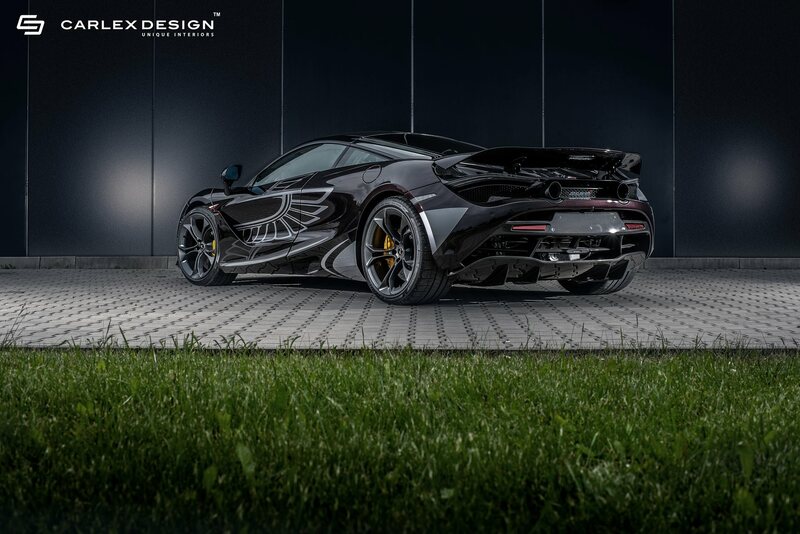 The car itself gets winged motifs on the outside, otherwise, it remains as it arrived from the factory, save that the bonnet and roof get custom MSO panels completed in carbon fibre. 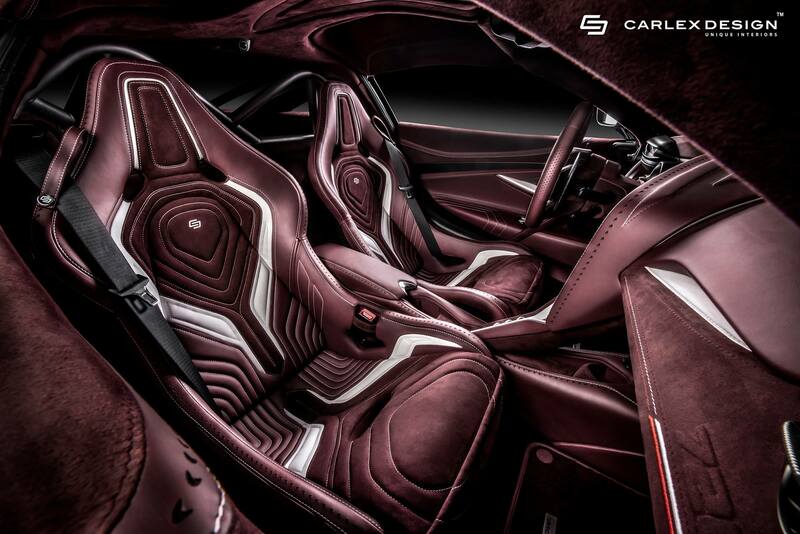 The car itself features a 4.0 litre V8 with 710 hp and a 100 km/h sprint time of 2.9 seconds. 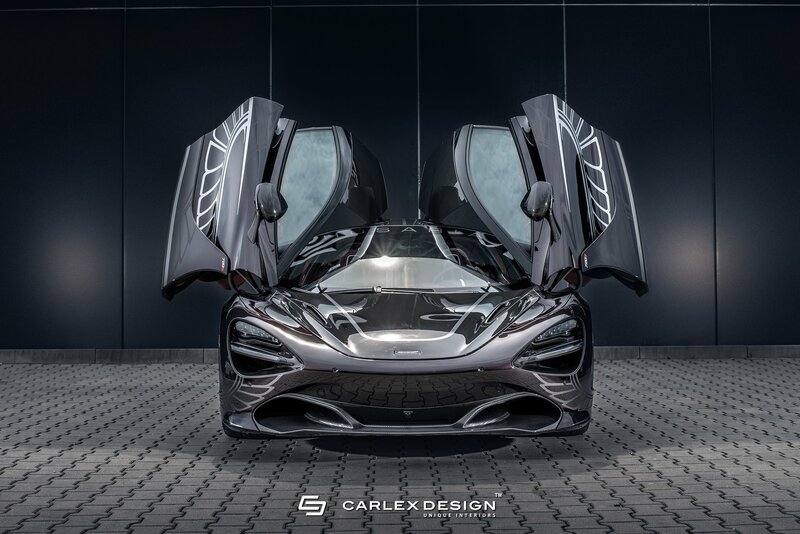 If their website is to be believed, Carlex Design have some other stunning projects in the works. 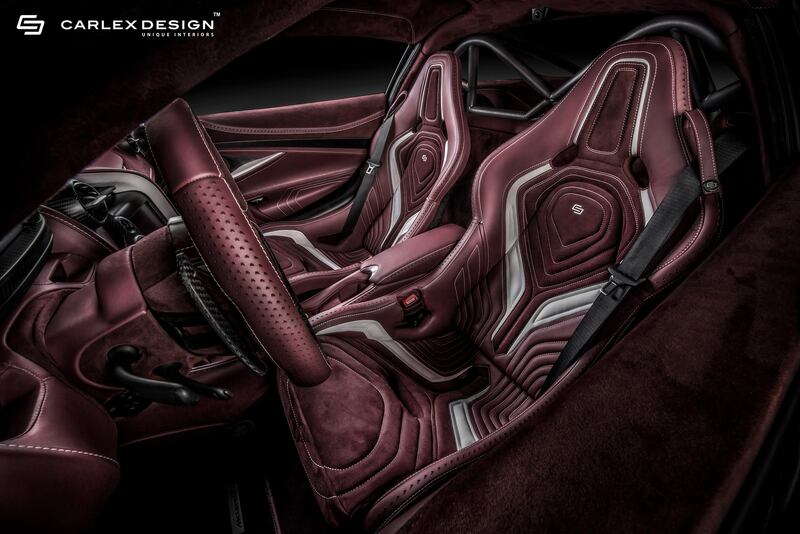 Teaser images show two Rolls-Royce Phantom’s with stunning individual designs. 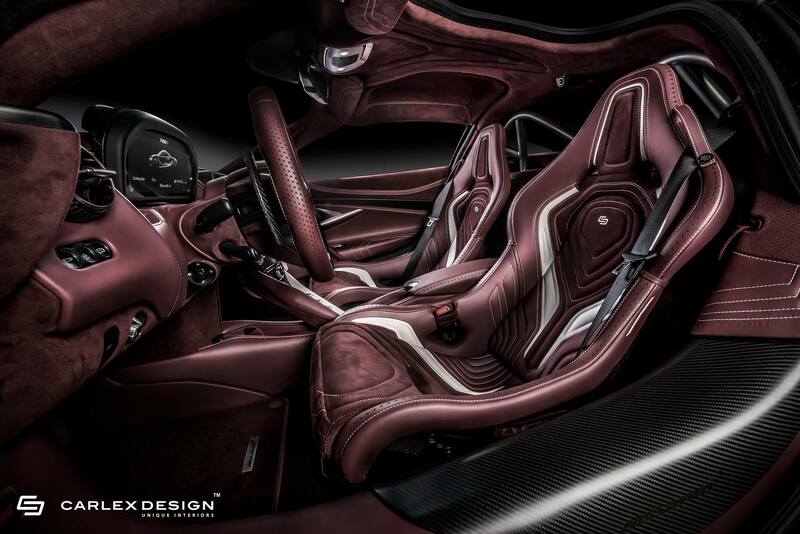 One is a Phantom V said to use 1 kilogram of silver to form an intricate steering wheel. 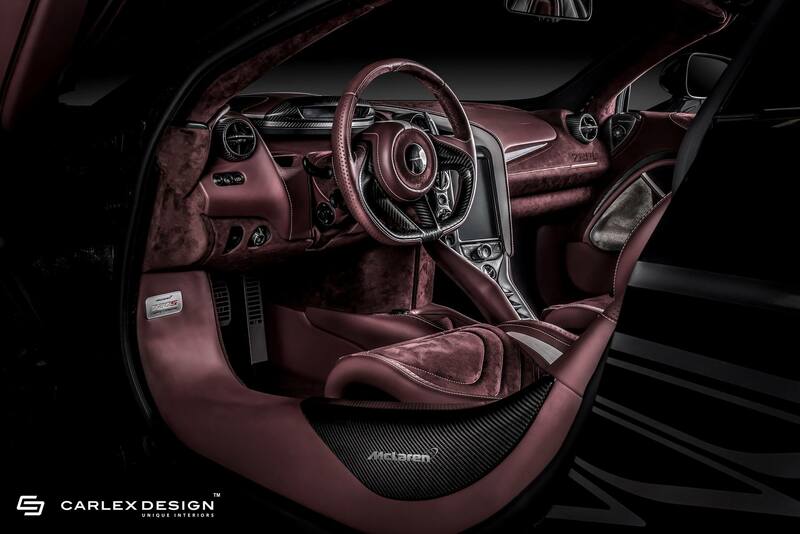 Other projects include an SRT Hellcat and a MINI!